B28910LF is rated 4.9 out of 5 by 8. Rated 5 out of 5 by 5280 Developments from Delta Faucet Great Value We installed this in a laundry room utility sink, overall for the cost the fixture is great. 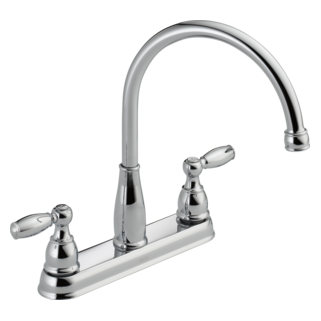 Rated 5 out of 5 by Raylene from Bar/ prep faucet We bought this faucet because it was a great price but we love it's simple unassuming style and ease of use. It is solid and of high quality. It was easy to install and the finish is beautiful. Looks like we'll have it for a long time. Rated 5 out of 5 by CSMTONYWILLISUSARET from Excellent Faucet This is an excellent faucet and was the right choice for my outdoor kitchen. Thanks for your continued service after the sale, and providing consumers with a wide variety of Delta products. 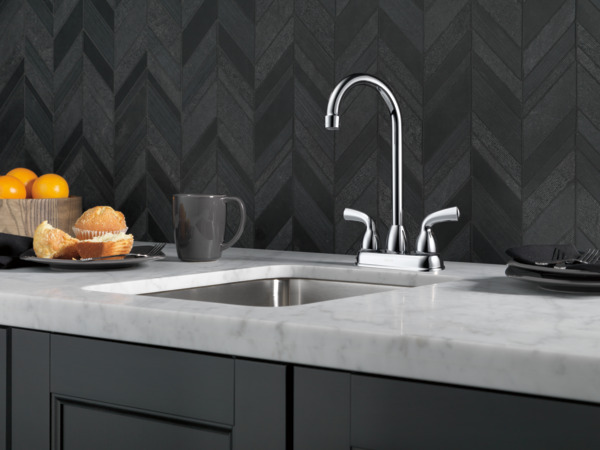 Rated 5 out of 5 by Ron73 from This is a nice looking faucet that works great This faucet looks really great and we are very pleased at how it works. Rated 5 out of 5 by Britmotohead from Great design. Great price. The 1/4 turn feature is super. The faucet exceeds all my expectations. Rated 4 out of 5 by aguywhocomments from Very Pleased I've had this for a couple months now and use it every day. I love the handle action and the rotating spout. The spout joint has just a bit of play, but not enough to bother me. The neck of the spout is tall enough that I can easily fit my 12" pitcher underneath with plenty of room to spare. Rated 5 out of 5 by cbarnett from Great faucet The sales person was very helpful, and made sure we were buying the right faucet for our needs. Will a garden hose thread on this faucet? 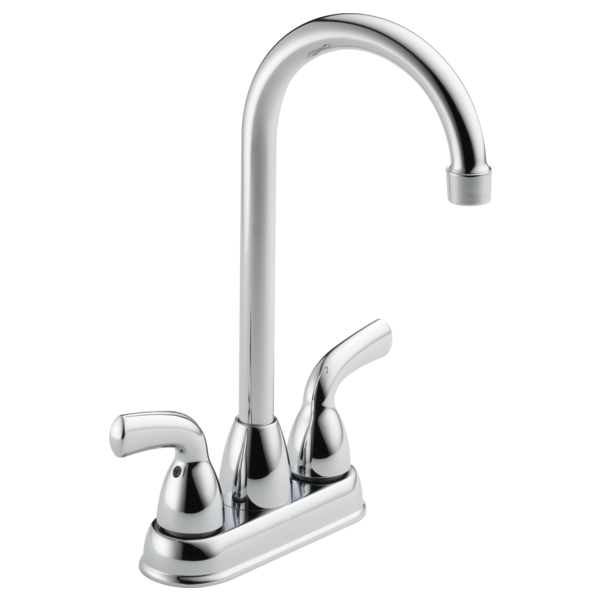 i like the delta faucet B28910LF, but i need it a Brilliance Stainless. is that possible?